Henry Havelock Ellis is one of those remarkable people whose memory even time cannot erase. Havelock Ellis as he was often referred to was an English man; by profession he was a physician, writer, progressive reformer and social reformer who studied human sexuality in depth. As physician he was the first intellectual to write a book on homosexuality at a time (1897) when such topics were considered taboo. Like many intellectuals of his time Havelock Ellis supported Eugenics a practice that supported breeding with the “best” traits and reduced breeding for people with “undesirable” traits. Though he would later come to oppose eugenics due to their adamant stance on sterilization. Havelock Ellis had a difficult childhood and was born into a family of five; the only son among four sisters. His father was a sea captain and his mother the daughter of sea captain. After completing his studies in England, he boarded his father’s ship and sailed to Sydney in Australia. After struggling to secure a position as a teacher and getting fired in the process; he went back to school and eventually got hired to manage two private schools. It was then that he started to write and pen his many famous quotes while studying human sexuality. Havelock Ellis is remembered for his book on the subject as it was the first objective publication on a touchy subject; he did not criticize or rebuke the practice. Many believe the word homosexual can be attributed to Ellis work and his book. He however distanced himself from the term and was quoted to prefer the term sexual inversion to describe this behavior. He also studied and wrote on the transgender phenomenon and had a curious marriage termed an open relationship. 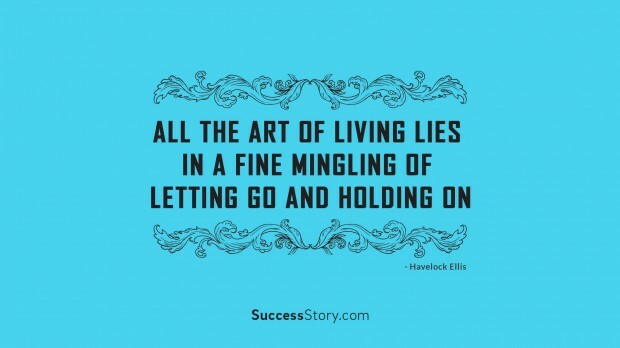 Overall Havelock Ellis was a great scientist and will be remembered for his unbiased approach to issues on sexuality and insightful quotes on life and human behaviour.